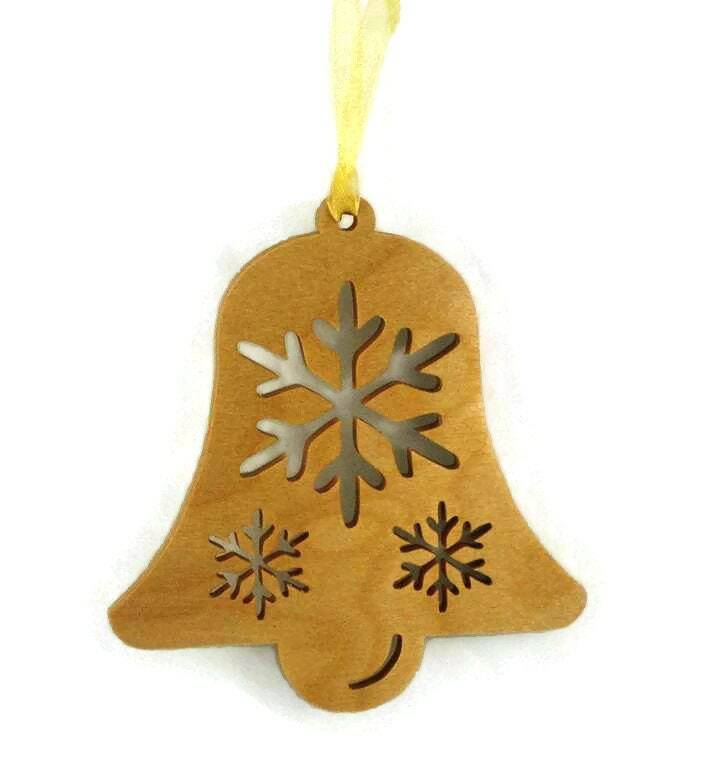 Make your Christmas tree unique with handmade wood Christmas tree ornaments.. 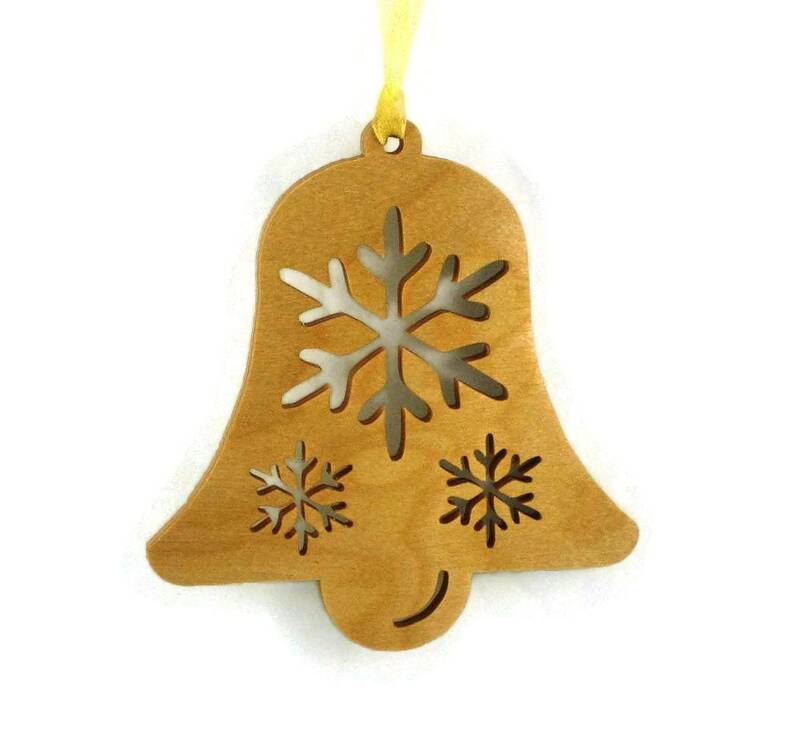 This Bell shaped Christmas tree Ornament features a large snowflake and two smaller snowflakes cut out. 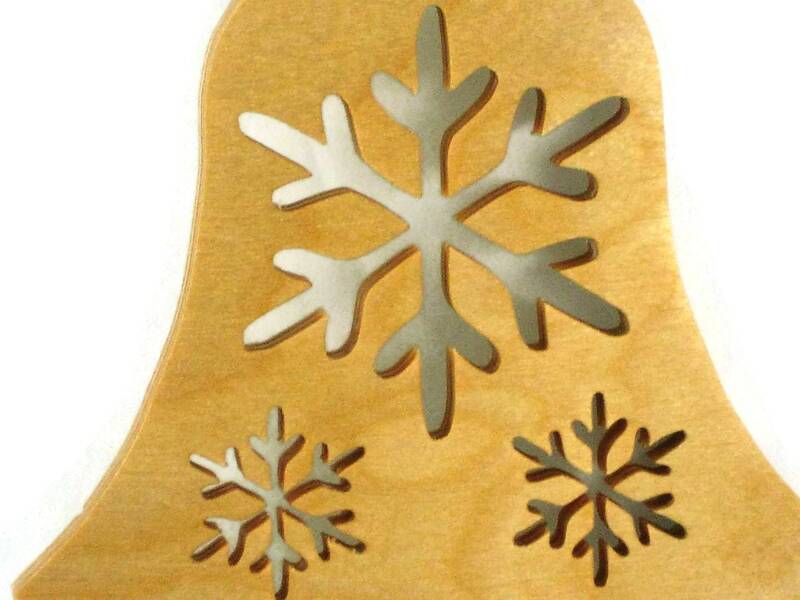 This ornament measures 4-1/2 wide x 4-1/2 tall x 1/4 inch thick Birch plywood. 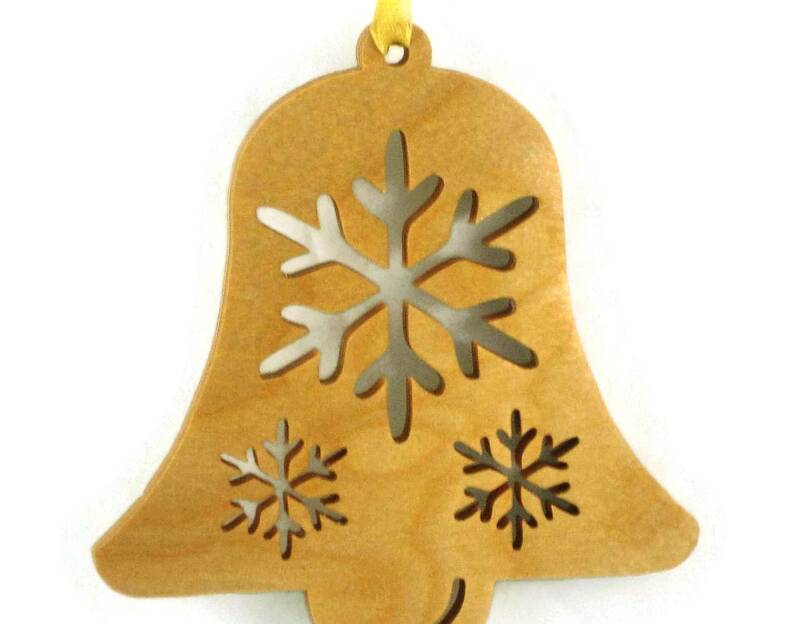 A Boiled linseed oil finish was applied to the ornament to bring out the true beauty of the wood grain as well as to protect it for many years of enjoyment. 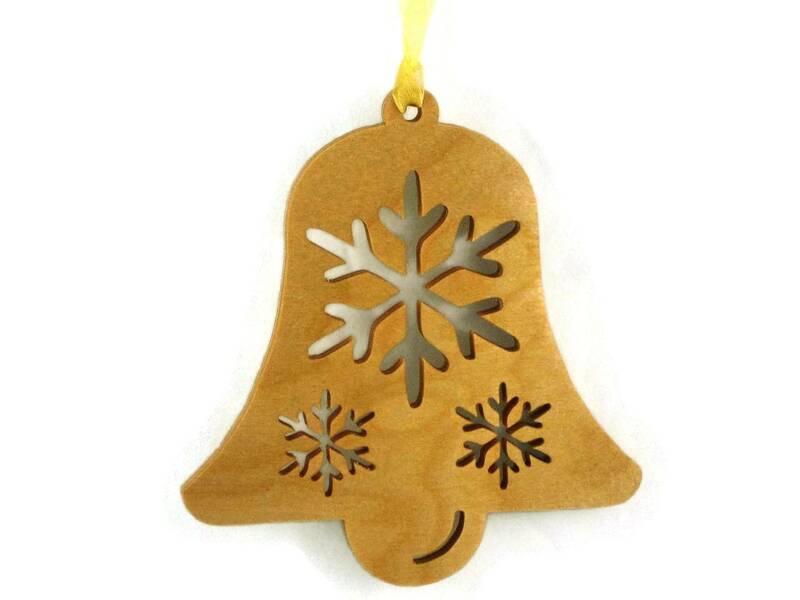 A ribbon was added for ease of hanging the ornament on your Christmas tree. Please Note: Ribbon colors will vary. If you would like a specific color let me know and I would be happy to put on a different color ribbon. Excellent craftsmanship and attention to detail. I am in total love with this ornament. I received my order well packaged and not too long after I had placed my order. The shop owner is such a pleasure to work with. He really cares about his customers and his work. Would recommend to anyone! Plan to buy again in the near future. Thanks again Kevin!! You rock!